THE young man who escaped from a vehicle swept away in a river went back into the water in a desperate attempt to rescue his two friends, Independent.ie has learned. 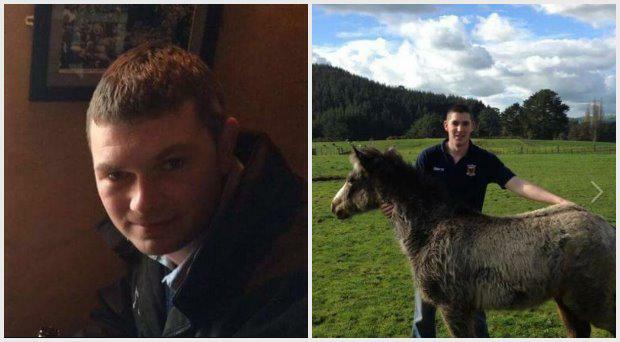 Declan Davitt (26) and Martin Needham (27) - two very close friends - drowned after the 4x4 they were in entered the Carrowniskey River in Co Mayo in the early hours of Christmas morning. It is understood they were taking a shortcut across a stretch of water that is normally passable. 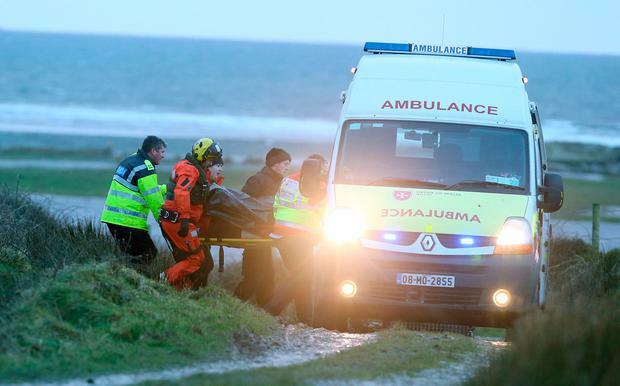 Another man, Tom McGreil (19) managed to escape from the jeep and the water and reach land. Mr McGreil then made a desperate attempt to help his friends. “Poor Tom McGreil risked his life to go back into the water after he escaped but the current was too strong,” a local man said. It has also emerged that the Davitt family suffered a separate Christmas tragedy seven years ago. Declan's older sister Kathleen drowned off the west coast in 2010. Her funeral took place on Christmas week, when she was 26, the same age as Declan. Kathleen, who had been living in the Monivea area of Galway, had been missing for more than a week when her body was recovered on the shoreline between Oranmore and Roscam. That search invovled the Coastguard search and rescue helicopters and the Galway Lifeboat. 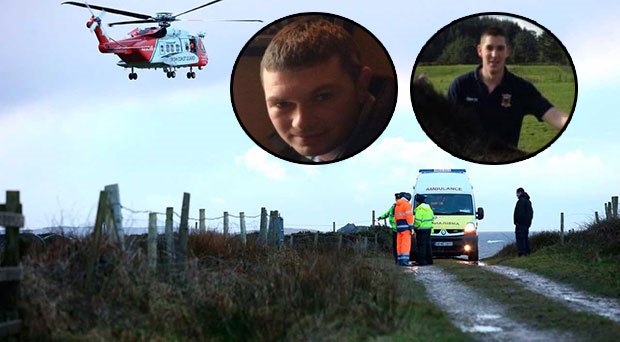 Members of the Coastguard were also involved in the search for Declan and Martin on Christmas Day, and the bodies of the two men were brought from the water at around 4pm, bringing a cloak of sadness to the community of Louisburgh and the wider area of west Mayo. The two men were returning after a night socialising with friends and were crossing the stretch of water that had become swollen in bad weather. There were gale force winds and water levels were high. Initial reports suggested the vehicle became submerged as it crossed the river and was then carried downstream. Martin and Declan had both spent time in New Zealand in recent years, but had come home and worked as sheep farmers after settling back in the communities where they were born. They were also both involved in their local Macra na Feirme organisation. Its chairman, Colm Clarke, posted a poignant message on social media describing the feelings of the local communities in the wake of the tragedy. “There's no words to describe today, waking up this morning, looking forward to a nice quiet day, everyone's world was shattered by the news that our two good friends had been lost. thank God they were recovered before dark tonight,” he said. “All I can say is, I'll miss you Martin and Declan, two sound men, thick as thieves, lived most of their lives in each other's pockets, where you would see one the other was never far away,” he added. “As tragically was the case today too, no sooner as we had Martin recovered Declan wasn't far away. R.I.P. lads, you've both left a huge void in all our lives and it was an honour to have known you both. Slàn boys,” Colm concluded. Local sources say it was initially believed Martin and Declan’s bodies were in the vehicle when it was found. But when it was pulled to the surface their bodies were not it. “The windows were down, so it looks like they made it out of the jeep but got swept away by the current,” said one man. Martin and Declan grew up about a mile from each other, and where you saw one you would always know the other was nearby. They were always together. They were like brothers,” he explained. “When we heard one of the names of the men who were missing we didn’t need to be told the other. We knew who it would be,” the man added. Declan and Martin’s funerals will be held a day apart as the parishes in and around Louisburgh try to come to terms with the loss of the two well respected young men. Martin’s body will lie in repose at Sweeney's Funeral Home in Louisburgh tomorrow Wednesday from 5:00pm, concluding with prayers at 9:00pm. His funeral will be held on Thursday at 12 noon at the Church of the Holy Family, Killeen followed by interment in Killeen Old Cemetery. Declan’s body will lie in repose at Sweeney's Funeral Home in Louisburgh on Thursday from 5:00pm, also concluding with prayers at 9:00pm. His funeral will be held at 12 noon on Friday morning at the Church of the Holy Family in Killeen. His remains will be buried in Killeen New Cemetery afterwards. Public notices said they would be deeply mourned by their "heartbroken" families. Mayo county councillor Christy Hyland said the victims were from well-known and respected families in the area. "Our thoughts go out to their loved ones, their families and friends," he said. "The whole community is in shock. "This is a terrible tragedy to happen at any time, but especially on Christmas morning."